This is part 3 in my series of long-term reviews of diapers in my stash. I’ve been reviewing some of my older diapers to see how they’ve held up over time, both in terms of appearance and in performance. Today I’ll be reviewing Bummis Organic Cotton Prefold Diapers. I bought two packs of these prefolds in March 2010 for $18.00 per pack of six, which works out to $3.00 per prefold. These were the very first diapers I put on my first baby four years ago, and they’ve been in constant rotation ever since. How have they held up? Bummis Organic Cotton Prefold Diapers are made in Pakistan from unbleached organic cotton. They’re sold in packs of six and come in three sizes: preemie, infant, and baby. 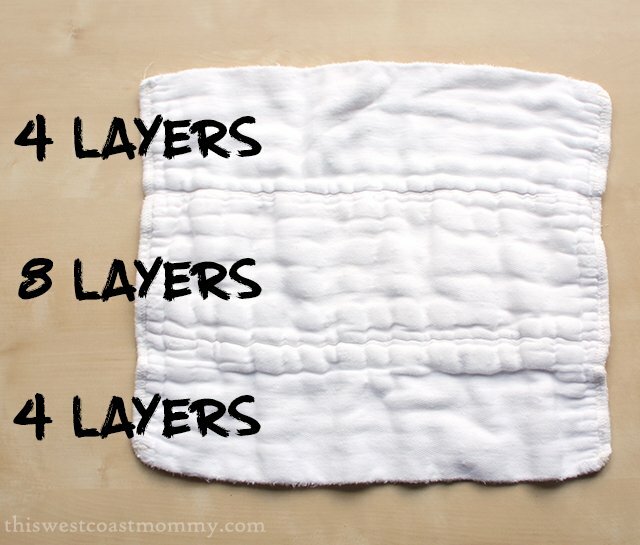 Prefold diapers are described by the number of layers in each section, and the number of layers determines the absorbency. My prefolds are the infant size and 4x8x4 – four layers in the outer sections and eight layers in the middle section. They’re intended to fit from 7-20 pounds. Bummis Organic Cotton Prefolds (and any natural fiber diapers or inserts) need to be prepped before using. This means they need to be washed to strip the natural oils and waxes from the fabric to allow for full absorbency. Generally, prefolds should be washed in hot water and detergent then dried a minimum of three times before using. If you only have one or two, you can boil them with Dawn dishwashing liquid, but as I had twelve it was easiest to run them through my washing machine. 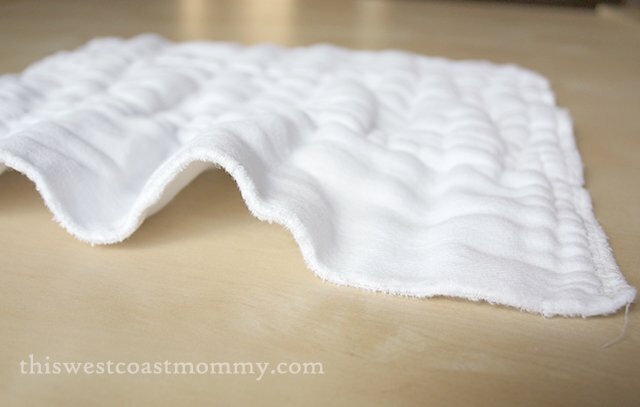 It can take up to ten washes for the prefold to completely quilt up and reach full absorbency. Prefold diapers can be folded many different ways to fit onto your baby. My favourite fold for newborns is the jelly roll fold, fastened with a Snappi. The nice thing with prefolds is they are infinitely adjustable. They don’t come with snaps or hook and loop, so you can fit them perfectly around your baby’s legs and waist. I used jelly rolled prefolds with a Bummis Super Brite Wrap or Bummis Whisper Wrap for about the first six months or so, at which point I switched to pad folding them and using them as inserts in my pocket diapers. I love how easily you can fit prefold diapers to your baby’s unique shape. Skinny legs and fat tummy? Long skinny minnie? Chunky monkey? No worries! Once baby starts moving though, I found it more challenging to keep them from sagging without the hook and loop tape or multitude of snaps that you’d find in your typical pocket or all-in-one diaper. Because prefolds contain no PUL, elastics, snaps, or hook and loop tape, they can easily be washed in hot water, boiled, bleached (only when absolutely necessary), or dried on a super hot sanitizing cycle if needed. Both my babies had yeast rashes as newborns, and I was grateful that I could sanitize my diapers afterward without the worry of ruining them. At an average of three loads of cloth diaper laundry a week, over four years, I estimate these prefolds have gone through my washer and dryer about 600 times. A few have some faint staining, and I recently noticed a bunch of them have just started to show some thinning and fraying on the edges. I think that’s pretty awesome for 600 washes. And when we’re done with diapering, I’ll repurpose my prefolds into rags. I think I got my $3.00 worth! Some parents might balk at the additional steps required to fold, fasten, and wrap a cover over a prefold diaper. Yes, prefolds are a bit more work than a pocket diaper or all in one, but with a little practice it really wasn’t that big of a deal for us. Hubs had no problems folding and fastening these either. One thing to be aware of is that because prefolds don’t come with elastic, they’re not as good at containing poop as other styles of diapers. You’ll be washing your covers more frequently with prefolds than with fitted diapers, especially when baby gets older and starts moving more. Bummis prefolds are a super economical way to cloth diaper your baby, and my preference for newborns because of their adjustability, versatility, and durability. Families who are focused on the cost savings of cloth diapering should seriously consider picking some up. Even with the added expense of buying covers for your prefolds, these are one of the cheapest options out there. 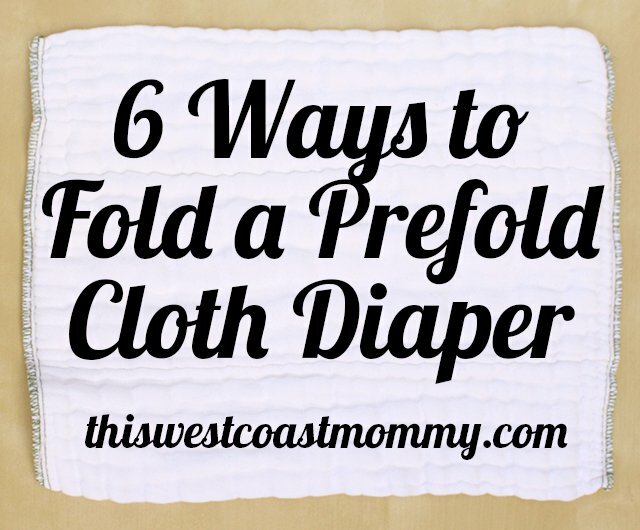 Check out my post 6 Ways to Fold a Prefold Diaper for a full tutorial on how to use these prefolds. Disclosure: This is not a sponsored post. I have no relationship with Bummis or its retailers, and I did not receive any compensation financially or in kind. I bought these diapers with my own money. All opinions expressed are completely honest and my own, based on my personal experience. Your experience may differ. Fuzzibunz One Size Elite: One Year Later and Still Going Strong! Great to know how the prefolds have held up. 600 washes is a lot lol. We have these same prefolds in the largest size. Incredible how much they can hold really. A couple times a week, we have just prefold days. It switches things up a bit, and sometimes I think my baby is more cozy in them. Haven’t attempted using them on the go yet. 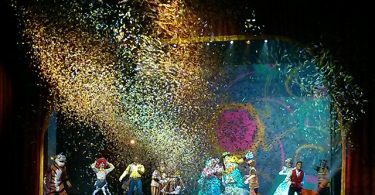 Thanks for adding your experience! They do hold a lot of liquid, and I like that they don’t hold smell the way microfiber is prone to. Great to hear that these last “forever.” I have started using my Bummis organic cotton prefolds more by laying them into the pocket diaper covers. I used the tri-fold. The covers contain any messes. That’s a great idea too. I love how versatile these prefolds are! I have some of these and love them. I hope they last me this long too! Thanks for the great post. Those are great reviews, how did you keep the prefolds from staining ? I didn’t do anything special, but I can’t actually see much staining on my prefolds even now. I line dry occasionally so they get some sun, but I’ve never really noticed anything major. I think that any stains I do get just fade out with time and repeated washes. Thanks for the review. I’m going to check out your other posts in this series. Good to know these have held up for you! I’m also using Bummis prefolds so it was great to hear that they’ve lasted for someone. I love to get my moneys worth! I don’t mind the work of folding and using a cute cover! 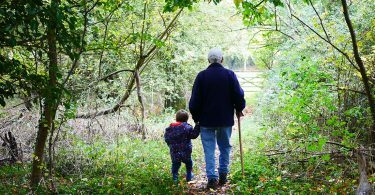 Anything that lasts that long is a great investment! Thanks for sharing! Very interesting diaper brand study. My kids are in late teens, no more babies for me but a guide like this would have been very helpful. When they were little, there was only AOL dial up and chatrooms so nothing like what the web is today. I really liked and learned alot from your extensive review. I didn’t know the diapers hold up that long. I like you did the pros and cons too so it explains the details of using diapers long term. Thanks. I just had an education session on pre-fold diapers. Who knew they needed to be washed and dried three times before using? Things sure do change over the years. There is an art to diapering. Today’s mom really needs to “tune in”. How soft are they at this point? We started using them over the summer and I love their absorbency but I don’t feel like they are very soft any more. What is your wash routine/detergent/etc? I used cloth diapers for 6 of my 7 children, however back then it was big terry cloth squares and a safety pin! They are so much nicer and prettier these days. Cloth diapers do last well too, mine lasted for all 6 children and still weren’t worn out. Wow! I’m impressed that they’ve held up that long! Such a great investment! Thanks for the review . I’m very new to clot diapering…haven’t started yet and I’m looking at what option are out there ? I was curious how prefilds held up and worked out for other mama’s. You’re welcome! These were pretty much the best investment I ever made cloth diapering! Hey there olivia I had a some follow-up questions regarding pre-folds. 1. How many Pre-folds and covers did you find was good for diapering say newborn to 15lbs? 2. Did you find that the prefolds held up well for night time? I would be changing babies diaper regardless as I don’t like babies sitting in wet diapers, but was curious on your experiance. Great review. I do have some prefolds, don’t know what brand, they were given to me. I figured I would just use them as a doubler but I’m glad to see they’ll work all on their own too and still hold up after 4 years! Thank you for this post. I would like to know the dimensions of your infant Bummis after all these years. I bought mine about 2.5y ago and they’ve continued to shrink over time. After prepping they were 11×14 (5/14) now they’re 10.5×12.5 (8/16). According to the company’s website this it within expected shrinkage. I’m just curious what happens over (more) time. Hi! Do you think it would be ok to purchase the Baby size for this for a newborn or would that be too big? Hi Veronica, I think you’ll find the baby size too big for a newborn. You can adjust the size a bit by folding down the edge at the back, but with the baby ones you’d probably have to fold them almost in half. That would leave a lot of fabric bunched up under your baby and between his legs. I recommend going with the infant size which will likely fit up to around 6 months. Luckily, these are very economical so you can get the next size up at that point if you want, and even reuse the smaller prefolds as boosters at night if you have a heavy wetter.